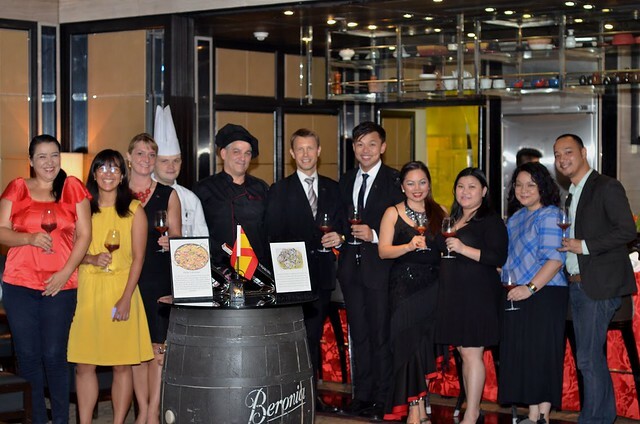 The Chef’s Table event we were invited to last Wednesday was a testament to the greatness Sofitel Manila offered in their Flavors of the World: Sabores Españoles. 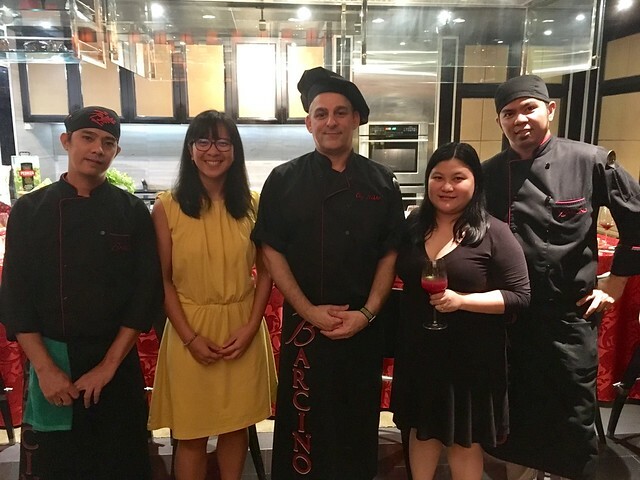 A limited engagement that ran from June 19 – 25, 2017 at Spiral, the third installation of the culinary series that presented a guest chef from Barcino Wine and Resto Bar, Executive Corporate Chef Nicolas Diaz. 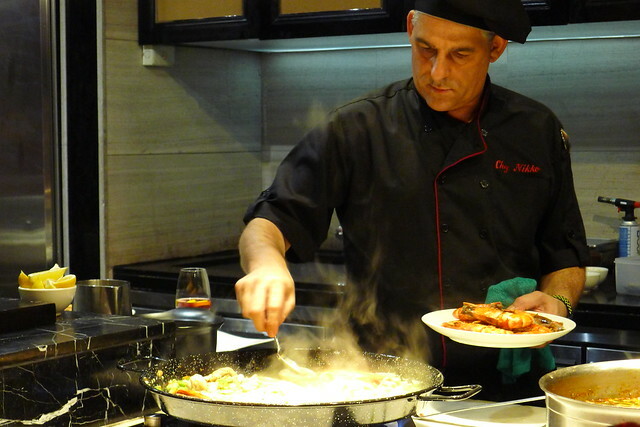 We witnessed the Corporate Chef himself in action as he prepared signature Spanish dishes right before our very eyes in an intimate gathering of gourmands and connoisseurs in an exclusive special, Chef’s Table. We experienced an intimate and animated dining featuring a 4-course dinner with only the best in the Metro. As a background, Chef Nicolas Diaz hails from the magnificent city of Bilbao in the Basque country of Spain. His passion for cooking and love of good food stems from his childhood where he would bake cakes and help as the family prepared traditional Basque dishes. Basque is the home to almost 40 Michelin-starred restaurants boasting of a rich culinary heritage with its fertile grounds for grains, vineyards, and livestock breeding. Chef Nicolas’ 35-year culinary experience features key assignments in various dining destinations including: Madrid, Spain; Bordeaux, France; and Beijing, China. He is currently the creative visionary behind Barcino Wine and Resto Bar serving as the Executive Corporate Chef across its 8 branches. 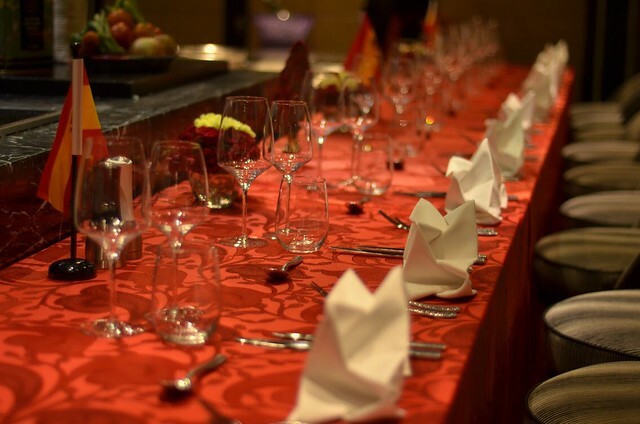 The intimate event made us appreciate Spanish cuisine all the more. 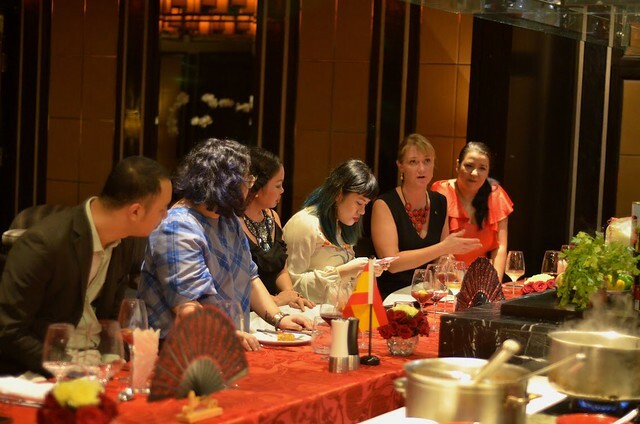 Seeing how each dish was carefully prepared and understanding the importance of every ingredient that makes the individual courses unique allowed us to savor the different tastes that collectively create a whole new flavor. While Chef Diaz was ‘teaching’ us how to prepare the Paella Mixta, his assistant was carefully getting the Mejillones en Pipirrana ready for our consumption, which was served shortly after. 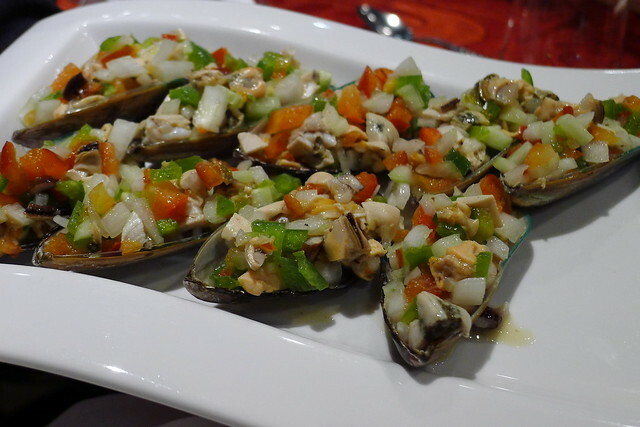 A Spanish Mussel dish, Pipirrana is a very common salad in Andalusia (Southern region of Spain), basically made of green pepper, onion, tomato, and cucumber, dressed with extra virgin coconut oil and vinegar. It is a cold dish that although may be eaten during all year long, is exceptionally popular during the summer. 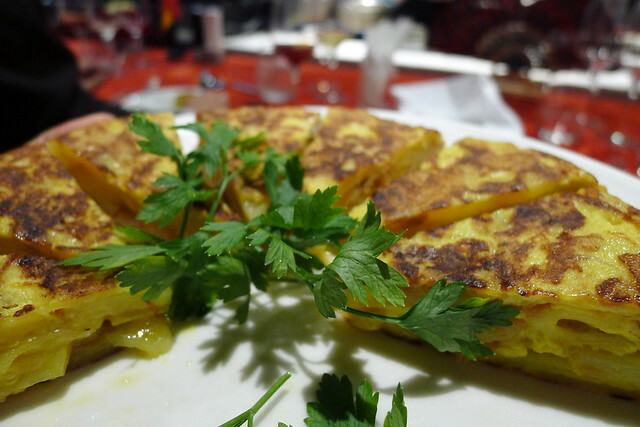 To build up our excitement for the main course, another appetizer that was quietly being prepared on the side was brought out for us to enjoy – the Tortilla de Patatas, an omelette made with eggs and potatoes, sometimes also with onion and/or chives or garlic. The first reference to the tortilla in Spanish is found in a Navarrese document. 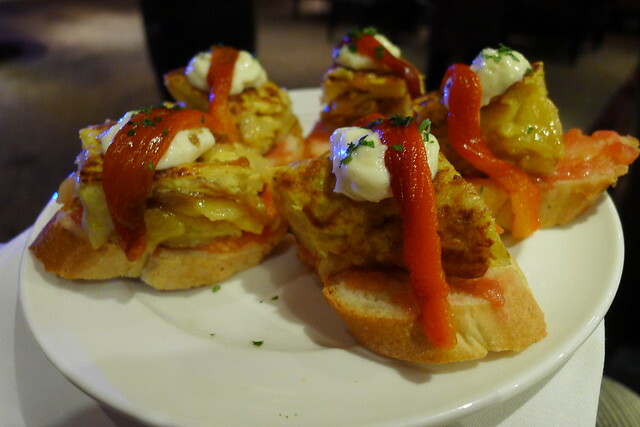 And during the siege of Bilbao, Carlist general Tomas de Zumalacarregui created the “tortilla de patatas” as an easy, fast, and nutritious dish to satisfy the scarcities of the Carlist army. Another way of serving the Tortilla de Patatas is by placing it atop a crisp, bite-sized baguette which is just as delicious as the main serving. Finally, after much anticipation, the Paella Mixta was served. 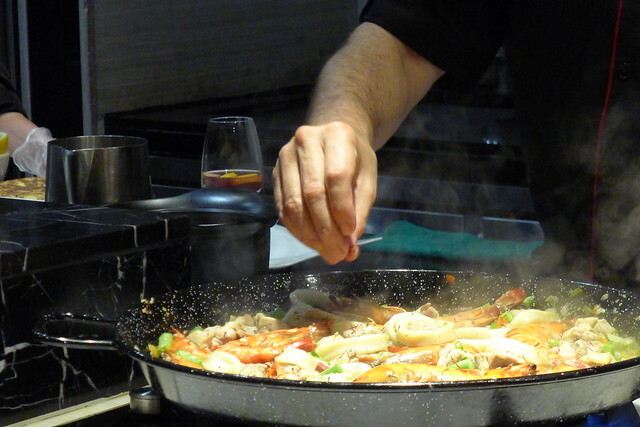 During the centuries following the establishment of rice in Spain, the peasants of Valencia would use the paella pan to cook rice with easily available ingredients form the countryside. 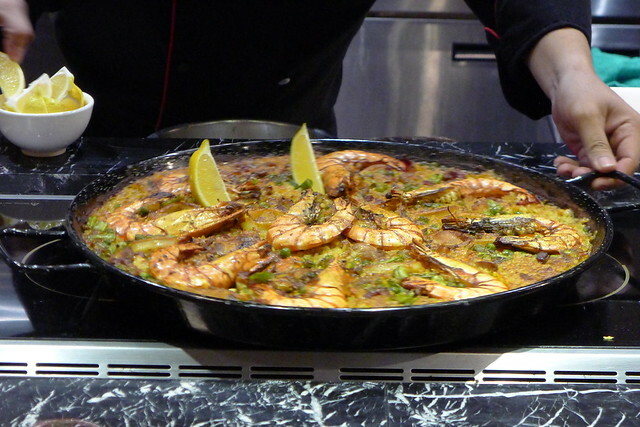 Valencia, the homeland of paella, produces a paella mixing seafood with meat, this paella has caught the popular imagination outside Spain and it is called Paella Mixta. 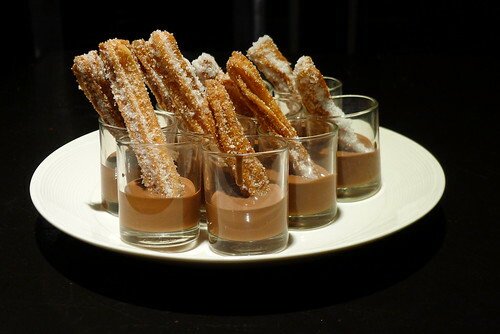 As if we weren’t already satisfied with the feast, the Churros con Chocolate made its rounds amongst us. In Spain, it is considered as a typical food taken frequently during the cold months of winter. Breakfast with churros in Madrid goes back almost to the beginning of the 19th century, it is very possible that the churro was made known in the street fairs that frequently roamed the capital. What an honor to have been invited to this intimate event and witness, along with the other special guests, Chef Nikko inspire everyone with the skills he has no doubt mastered, a craft that others would just continue to dream of. At the end of the day, we humbly extend our gratitude to Spiral Manila for continuously bringing us world class dining and for exposing Metro Manila to the Different Flavors of the World. *Some contents were taken from the press kit provided in the event. **All pictures were taken by The Foodie Station unless otherwise stated.